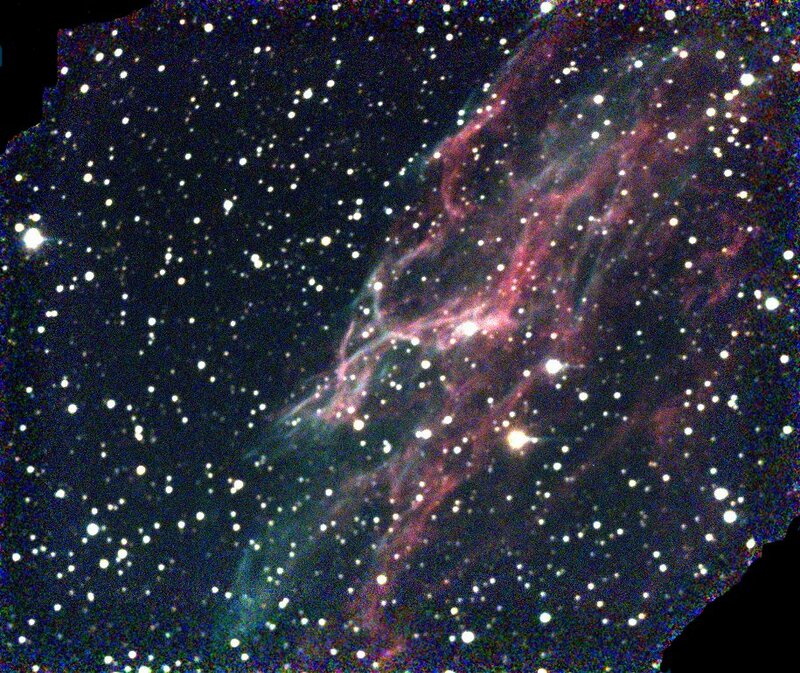 Obtaining good-quality images of the Veil Nebula has been an ongoing project, but the images shown here are the best so far. 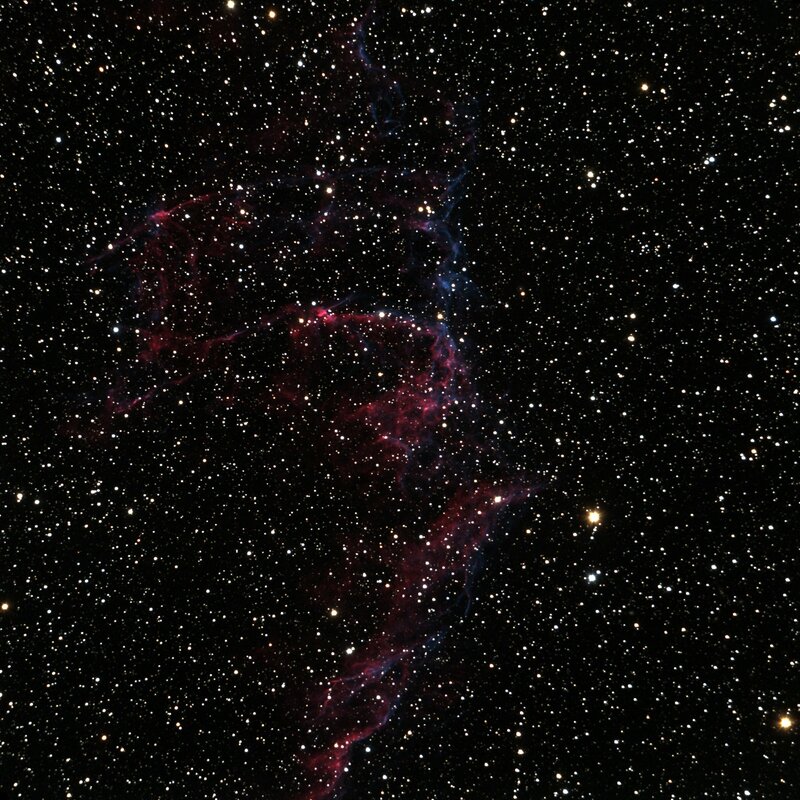 Even with the larger area CCD, we can only image part of it in a single exposure. 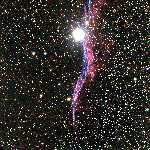 The portion shown here includes the bright star 52 Cygni. 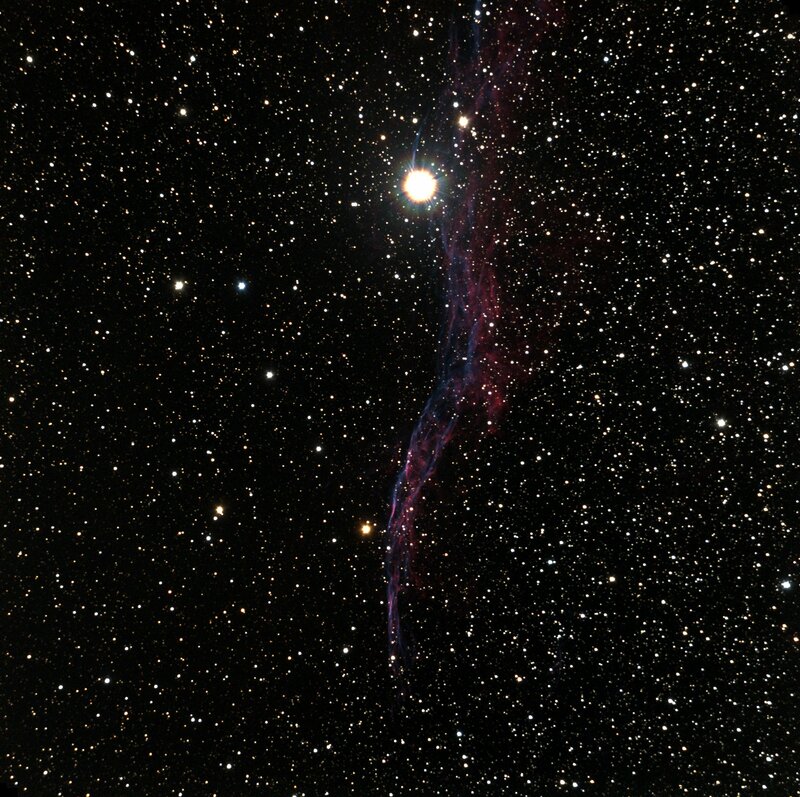 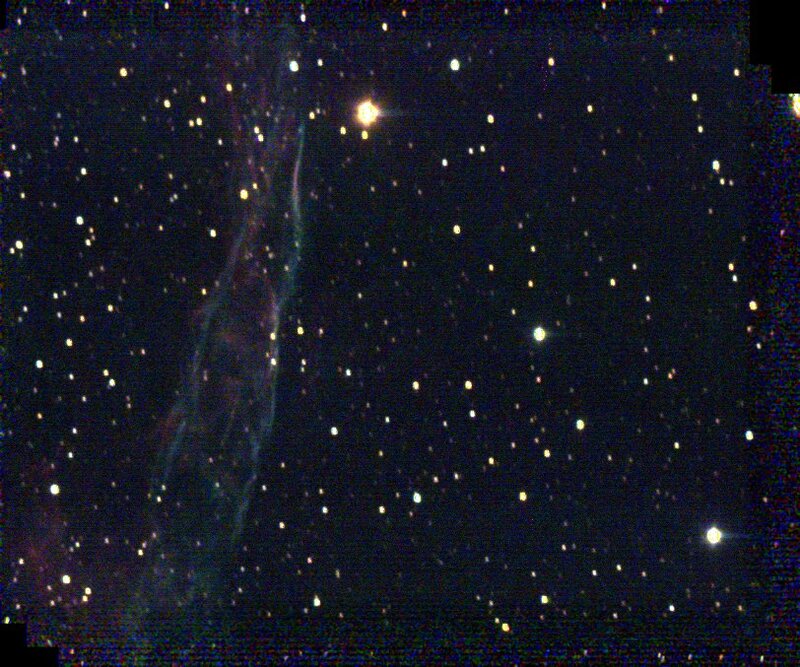 One of our first attempts at the Veil Nebula, near 52 Cygni (outside of field of view). 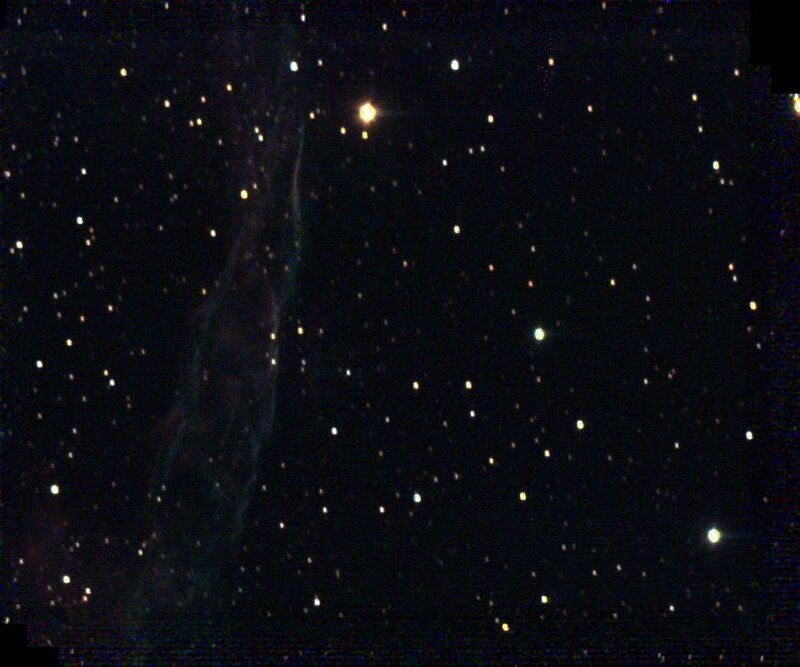 Here is part of the eastern half, showing a more complicated structure. 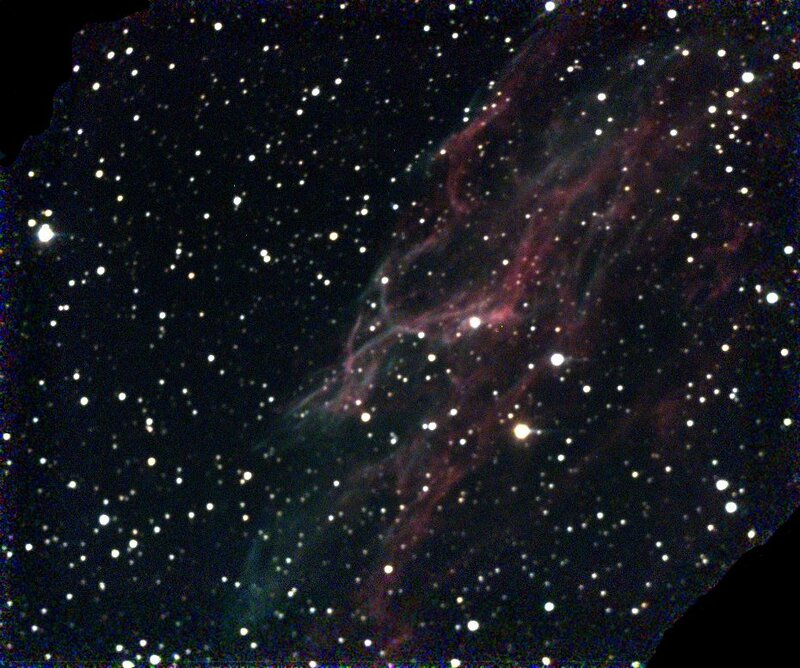 One of our first attempts at the Veil Nebula. 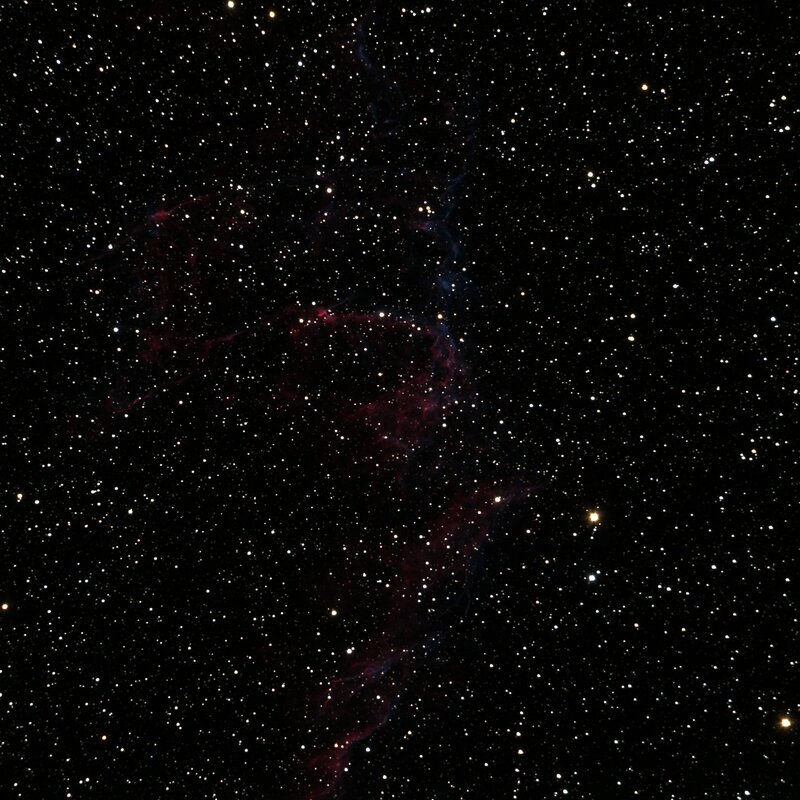 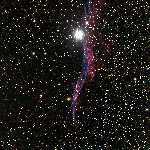 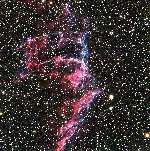 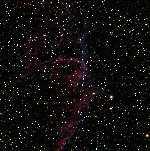 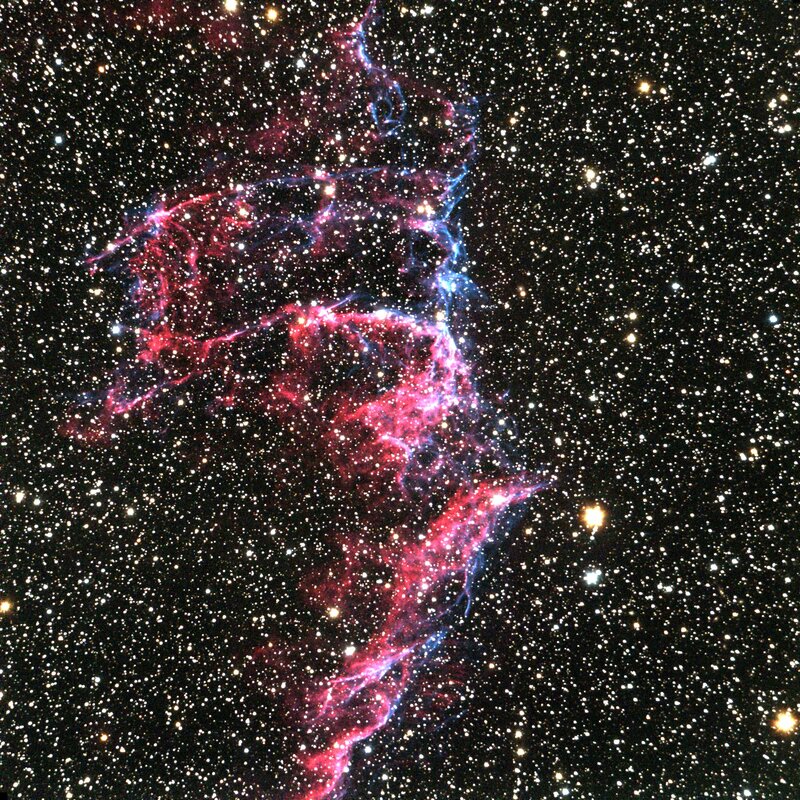 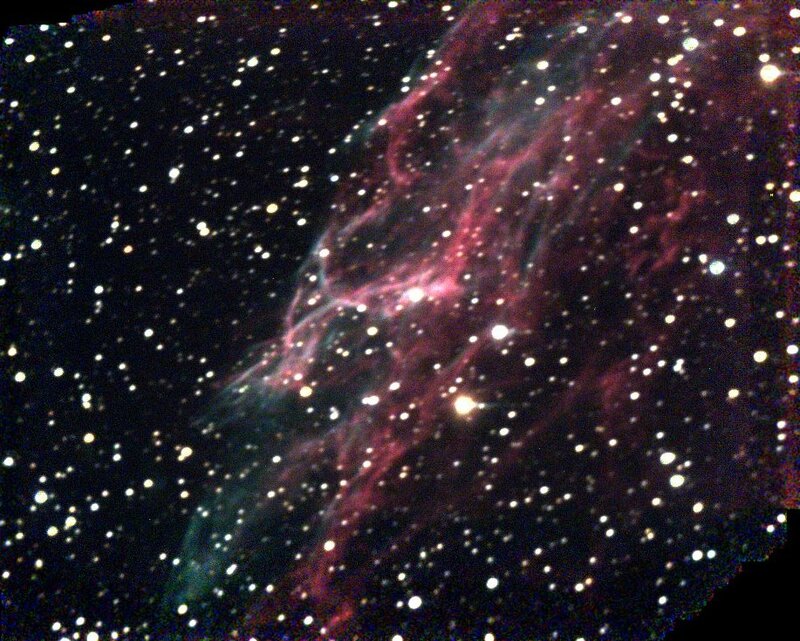 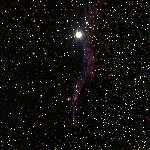 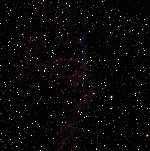 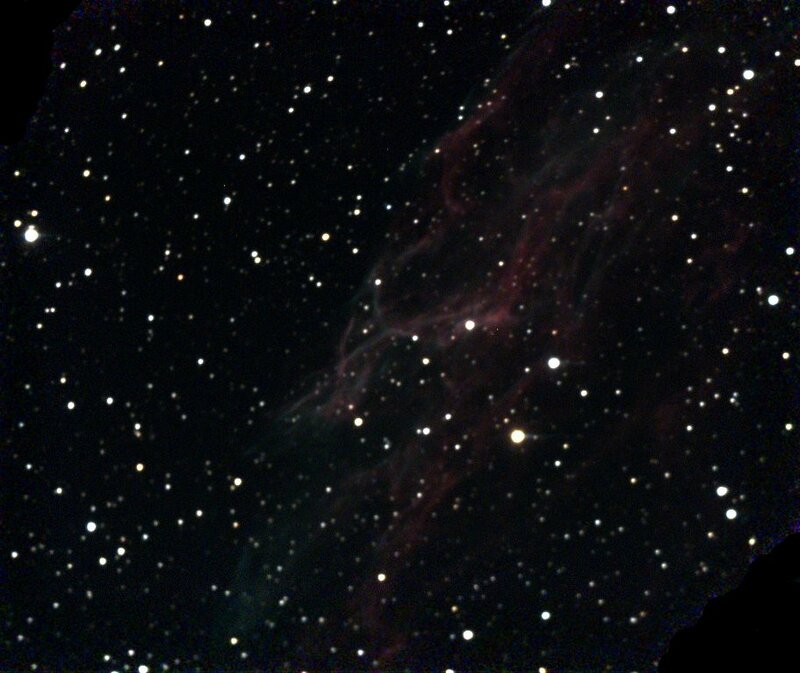 Another photo of a small part of the Eastern half of the Veil nebula. 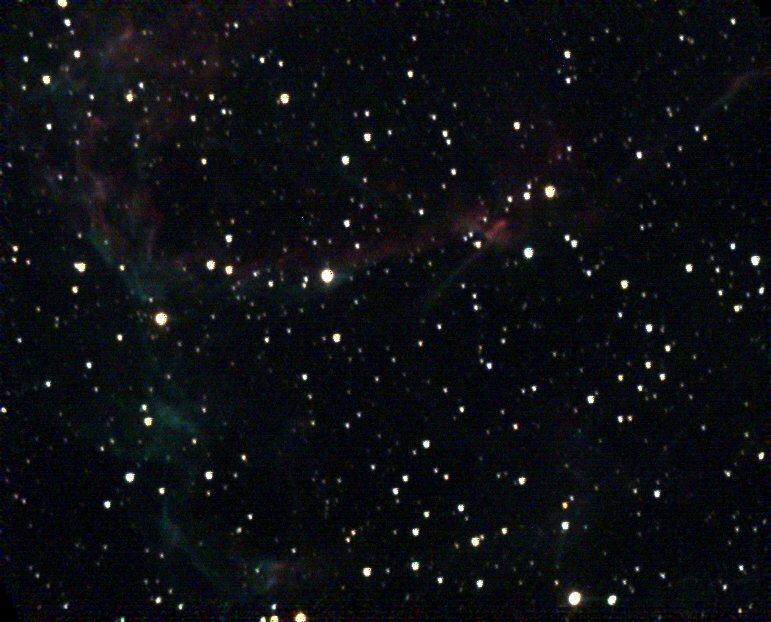 This is a much longer exposure sequence than we obtained last year, and the structure shows up much better. 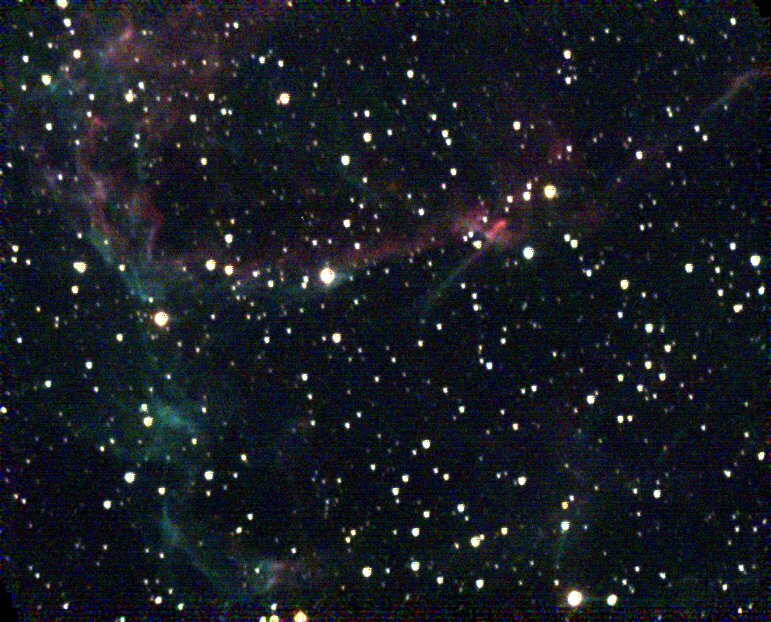 Same as above but using 30s exposures. 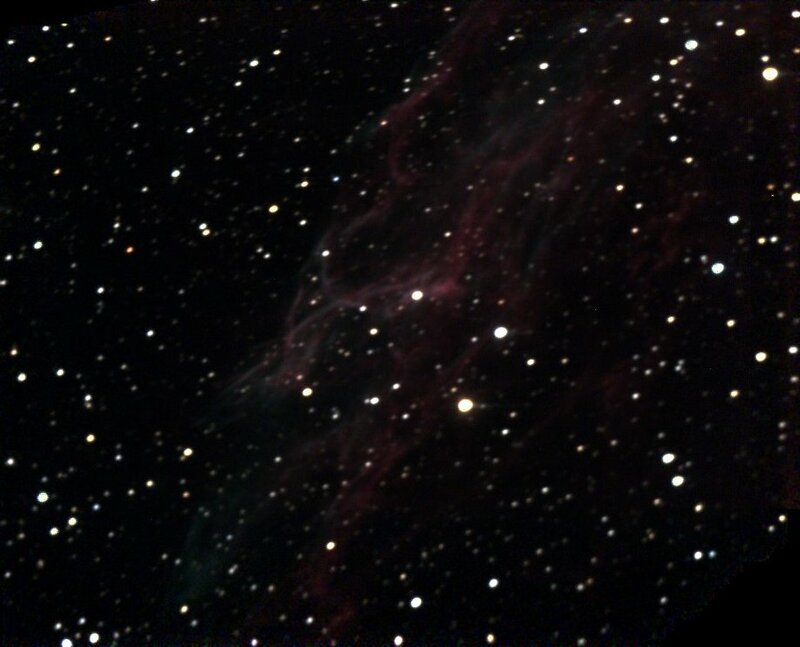 Fainter details can be seen in the nebula, but the resolution is poorer due to tracking issues.